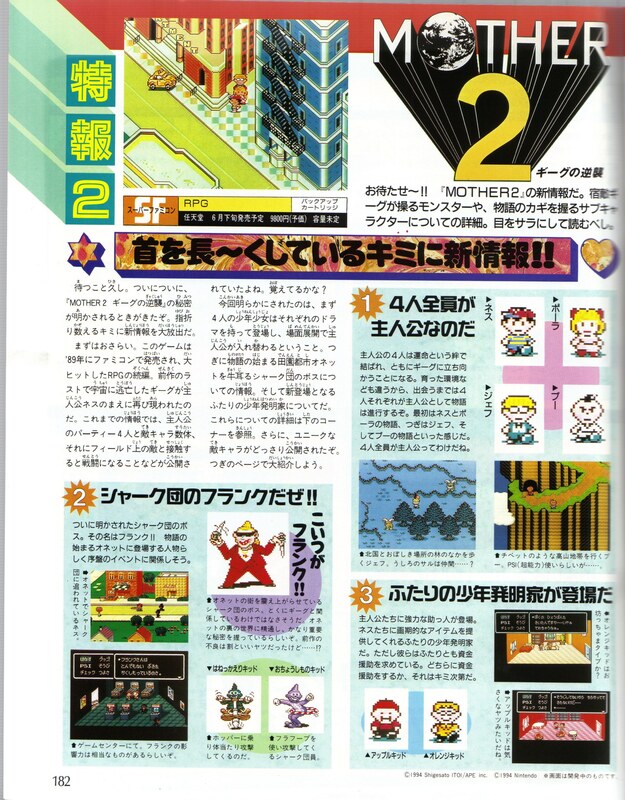 MOTHER 2 was in lots of Weekly Famitsu issues before and after the game’s release in 1994. Here is one of the earliest looks, courtesy of King Darian. As you might expect, this comes from the April 22, 1994 issue. There are some interesting differences between what’s shown here and what was in the final version of the game. Check out Apple Kid’s house. Even the Onett pic is slightly off – the garbage can is in a different spot. Winters’ map layout is very different, and the trees are completely different graphics. 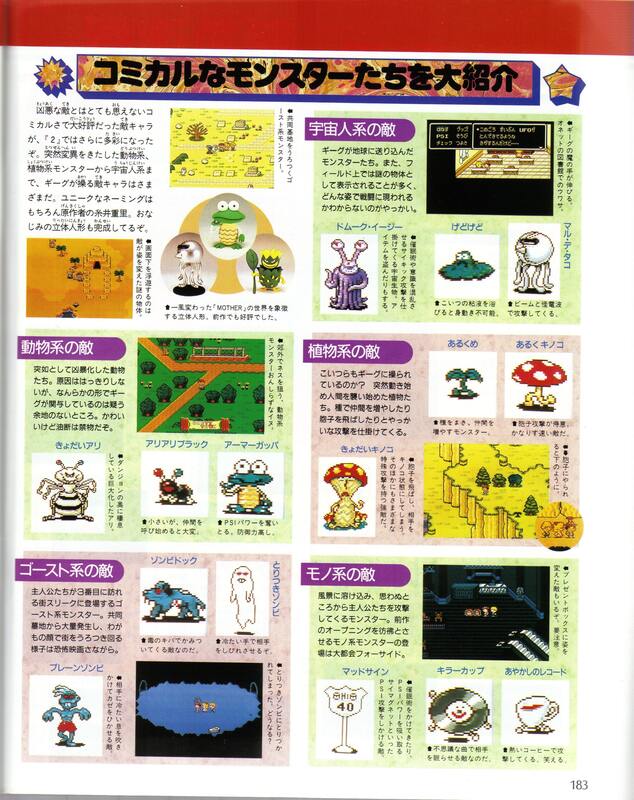 Dalaam is significantly different, and then of course there’s that Threed pic, which was actually used in later advertisements for the game, even though it’s a dark city in the final version. This is just like that other issue of that one magazine with all the beta shots. And next on E! True Hollywood Story: Apple Kid and his addiction to hallucinogenic mushrooms which cost him his home, his dignity, and his inspiration as an inventor… until a boy named Ness came into his life. Why are the labels for the cup of coffee and the record the wrong way round? Man am I glad they mussed up Apple Kid’s house before finishing everything up. I wonder what Apple Kid’s text was before he decided to become a slob…? The zombies used to be a lot meaner, even coming out in the middle of the day! Off topic question: How do I get an avatar? Haha. “Koitsu ga Frank!!”. Did you see all those exclamation points at the end? Man, I love how exclamatory Japanese magazines are, especially ones intended for kids. ‘Cause if you try translating it directly into English, you sound crazy.